UFC crowned two new champions on the night before the Super Bowl at UFC 46. Vitor “The Phenom” Belfort won the light heavyweight title from Randy Couture, ending an amazing run by the 40-year-old champion. In the opening minute, Couture’s eyelid was cut by the seam of Belfort’s glove. 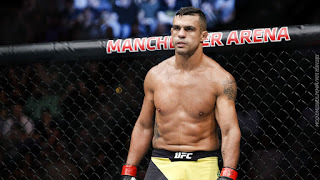 The doctor stopped the fight at the 54-second mark, and Belfort was the new champion. BJ Penn captured the UFC welterweight title from Matt Hughes, whose 13-fight win streak came to an end. Penn won with a rear naked choke at 4:37. Penn had been unable to win the lightweight title on two occasions, but he ended Hughes’ quest for a record-breaking sixth title defense. 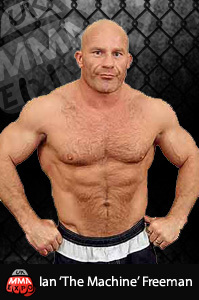 Randy Couture dominated Tito Ortiz to emerge as the undisputed king of the light heavyweights at UFC 44. After winning the interim version of the title at UFC 43, Couture plowed through Ortiz with ease. He even spanked the outgoing champ in the closing moments of the fight. 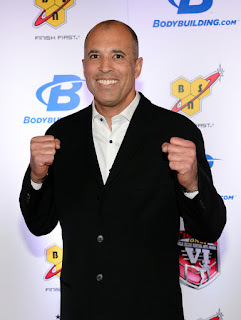 At the age of 40, Couture had reached the top of the sport for the third time. “I guess I’m a late bloomer,” he said. The title unification fight drew more than 10,000 fans paying $1.1 million. UFC 44 also garnered 94,000 buys on pay-per-view. Randy Couture became the first UFC fighter to win championships in multiple weight divisions at UFC 43. Couture, a two-time heavyweight champion, beat Chuck Liddell by TKO in Round 3 to capture the interim light heavyweight championship. Even more impressive was the fact that Couture was a heavy underdog and almost 40 years old. 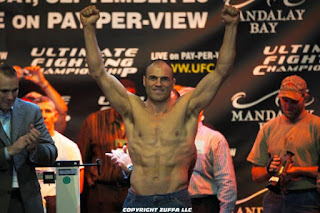 Couture would face the light heavyweight champ, Tito Ortiz, at UFC 44: Undisputed. “Tito, if you want this belt, you’re going to have to come in here and take it,” Couture said after the fight. 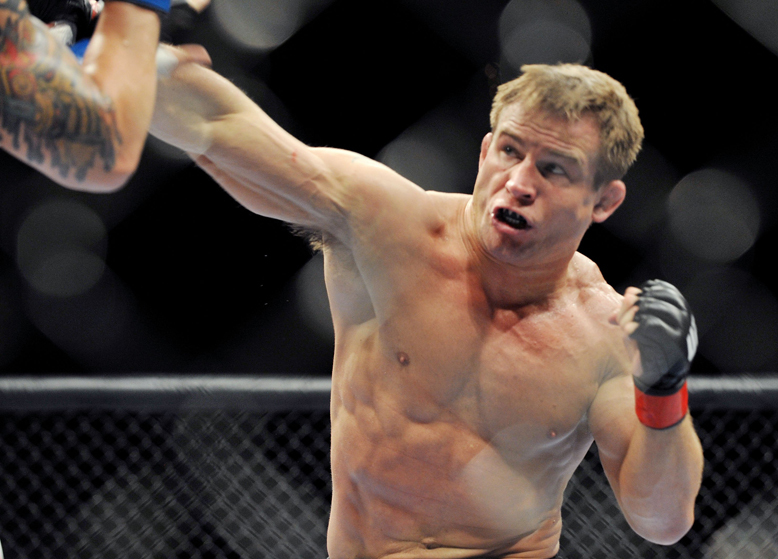 Sean Sherk carried a 20-0 record into UFC 42, but he couldn’t take the welterweight title away from Matt Hughes. The wrestlers engaged in a bloody brawl, and Hughes held off a late rally by the “Muscle Shark” to retain the belt with judges’ scores of 49-46, 48-47 and 48-45. 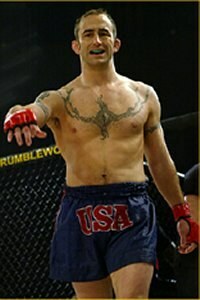 In a battle of debuting welterweights, Dave Strasser defeated Romie Aram by unanimous decision. Can a tournament end without a winner? It happened at UFC 41. BJ Penn battled Caol Uno in the finals of a four-man lightweight title tournament. The semifinals took place at UFC 39, with Penn defeating Matt Serra and Uno beating Din Thomas. In the finals, one judge ruled 48-46 Penn while another ruled 48-47 Uno. The third judge scored the bout 48-48. So the fight was a draw and nobody won the belt. This decision put the lightweight title on ice, as a new champion was not crowned until UFC 64 more than three years later. Ken Shamrock battled Tito Ortiz in a main event that drew 13,265 fans, plus 100,000 pay-per-view buys at UFC 40. After collecting $1.5 million at the box office, UFC’s owners started to see a return on the investment they made almost two years earlier. Shamrock increased his star power by appearing for the World Wrestling Federation during its super-hot “Attitude Era.” He stepped back into the Octagon for the first time since 1996 and cashed in on a war of words with Ortiz. 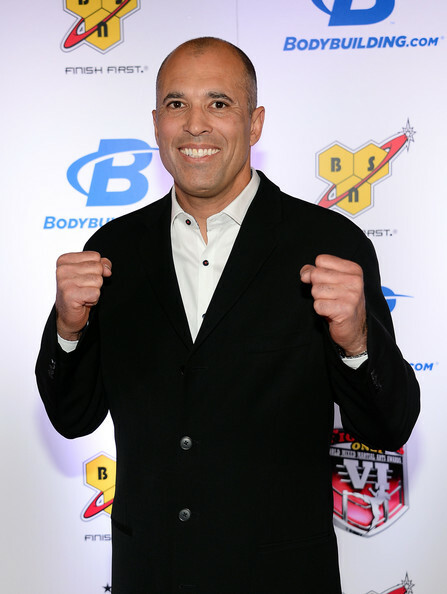 Referee Big John McCarthy told MMA Sentinel that UFC 40 proved that the sport of mixed martial arts would survive. Ricco Rodriguez knocked off Randy “The Natural” Couture to win the UFC heavyweight title at UFC 39. Rodriguez won his 11th fight in a row to capture the belt, which was vacated when previous champion Josh Barnett tested positive for steroids. As the show’s name indicated, the heavyweight “warriors” battled into the fifth round. Couture won the first two rounds, while Rodriguez controlled the third and fourth. UFC invaded England for the first time at UFC 38, as Matt Hughes beat Carlos Newton to retain the welterweight title. This was a rematch of the “Double Knockout” fight at UFC 34. This time, Hughes used a flurry of unanswered strikes to win by TKO in Round 4. British star Ian "The Machine" Freeman scored a big win over undefeated Frank Mir. Referee John McCarty ruled that Mir had taken too much punishment at the 4:35 mark. Mark Weir also thrilled his UK countrymen by knocking out Eugene Jackson in just 10 seconds. UFC has been a staple of pay-per-view TV since its inception, but it never had a fight on regular cable TV until UFC 37.5. As its name would imply, this show was thrown together at the last minute, to gain UFC publicity on “The Best Damn Sports Show Period” on Fox Sports Net. The best fight of the night would air on the show, and that honor went to welterweights Robby Lawler and “The Red Nose Pitbull” Steve Berger. 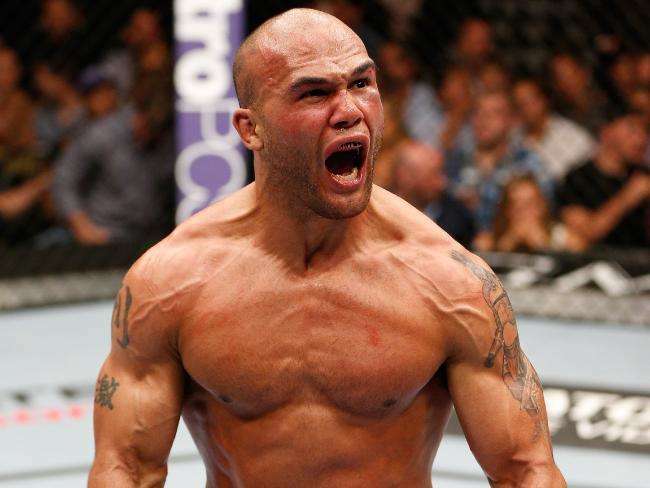 Lawler got the victory by TKO at the 27-second mark of Round 2. Usually, a tapout will end a fight, but Murilo Bustamante needed two submissions to retain his middleweight title at UFC 37. 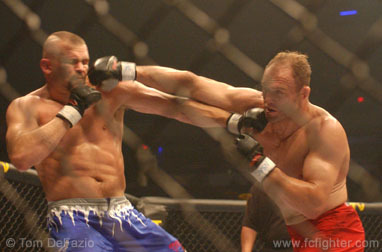 Bustamante apparently forced Matt Lindland to tap out to an armbar, but Lindland claimed he did not tap out. Referee John McCarthy restarted the fight. The champion cleared up the controversy by forcing Lindland to tap out to a guillotine choke in Round 3. 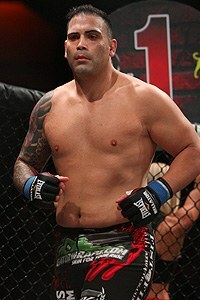 Bustamante was stripped of the middleweight title later in the year when he jumped to PRIDE Fighting Championships. Anderson Silva almost debuted at UFC 36 for a welterweight “dream fight” against Matt Hughes. 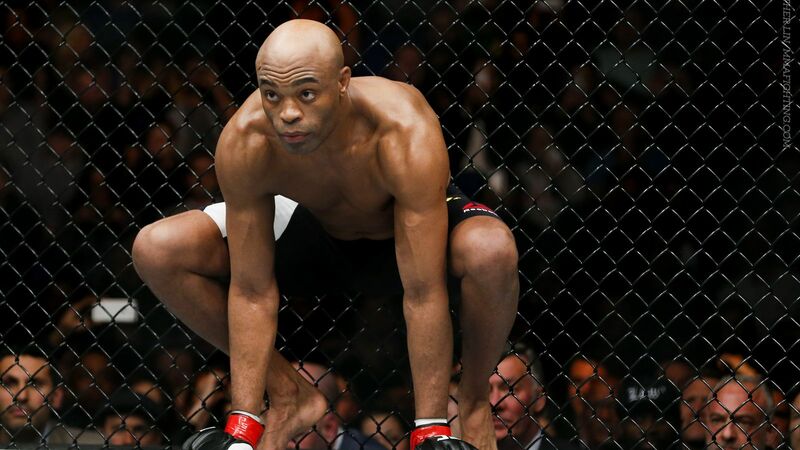 Unfortunately, Silva signed with PRIDE and wouldn’t arrive in UFC for another four years. Instead, Hughes retained the welterweight title with a fourth-round TKO win over Hayato Sakurai. UFC was starting to regain popularity one year into the Zuffa era. UFC 36 drew a crowd of 10,000 fans and picked up 55,000 buys on pay-per-view. Fighting is hard enough when you’re healthy, but it’s a whole new challenge when you’re sick. The flu bug bit the fighters and production staff hard at UFC 35, and the ailing Dave Menne lost his middleweight title to Murilo Bustamante. The challenger landed a huge right to win by TKO at the 44-second mark of Round 2. “Dave was so dehydrated from having the flu and vomiting and diarrhea that he was hallucinating during the fight,” Pat Miletich recalled in an interview with Sherdog.com. Lightweights took the main-event spot at UFC 35, as Jens Pulver defeated B.J. Penn to retain the 155-pound title.